Enjoy Psallite Music Each Sunday! 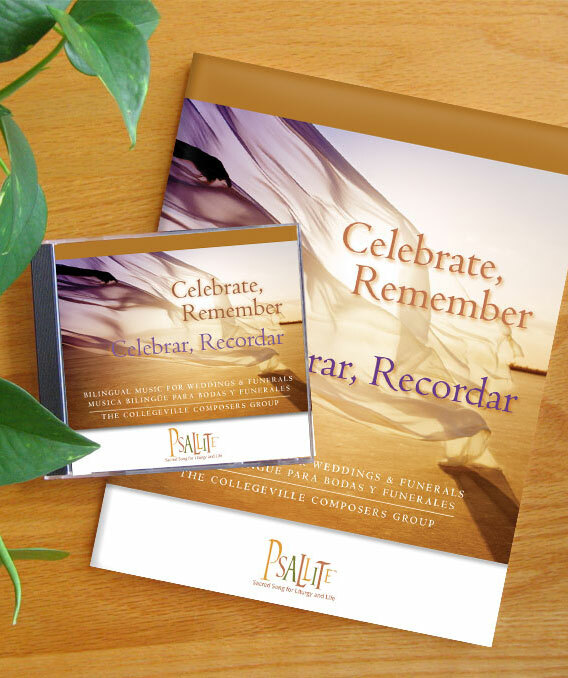 Celebrate, Remember / Celebrar, Recordar is a resource of new music that will refresh your parish repertoire! For weddings, three new pieces designed for the revised edition of the Rite of Marriage (Entrance Processional, Responsorial Psalm, and Acclamation after the Exchange of Vows or Rings), plus new Spanish versions of three existing Psallite pieces. For funerals, four new pieces (Entrance Chant, Responsorial Psalm, Communion Psalm and Song of Farewell) plus an updated version of an existing Psallite piece. All the new music in this volume has been composed bilingually and works perfectly in English and Spanish. Includes full keyboard and guitar accompaniments, assembly parts, cantor parts, and choir descants. Un recurso de nueva música que refrescará su repertorio parroquial! Para bodas, tres cantos nuevos diseñados para la edición revisada del rito del matrimonio (Entrada procesional, Salmo Responsorial y la Aclamación después del intercambio de votos o anillos), además, nuevas versiones en español de tres cantos existentes. Para funerales, cuatro cantos nuevos (Entrada, Salmo Responsorial, Comunión y canto de despedida), además de una versión nueva de un canto existente. Toda la música nueva en este volumen ha sido compuesto en forma bilingüe y funciona perfectamente en Inglés y Español. Incluye teclado completo y acompañamiento de guitarra , partes para la asamblea, cantor, y contrapuntos para el coro. 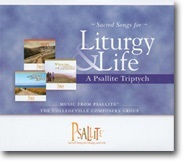 The composers of Psallite: Sacred Song for Liturgy and Life–Carol Browning, Catherine Christmas, Cyprian Consiglio, OSB Cam, Paul F. Ford, and Paul Inwood–collaborate on an expanded collection of music for the Mass. This multilingual (English, Spanish, Latin) Mass setting is written for congregation, cantor, choir, organ or piano, and guitar. In addition to the typically sung parts of the Mass, this collection offers accessible music for the Sprinkling Rite, the Easter and Pentecost sequences, the Nicene and Apostles' Creeds, and the Berakah Prayer during the Presentation of the Gifts. Paperback, 64 pp., 8 1/2" x 10 7/8"
Full accompaniments and cantor/schola verses for all Sundays and major feast days of the liturgical year. Plastic coil binding, 8 1/2 x 10 7/8, 320 pp., 1-4 copies, $24.95 each; 5 or more copies, $19.95* net; please inquire for bulk purchases. This edition contains cantor/schola descants and harmonies for all Sundays and solemnities of the liturgical year and includes liturgical and Scriptural indices for various uses and planning. Titles are placed in alphabetical order. 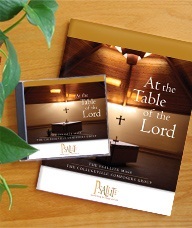 Single volume contains all titles in the Psallite collection. Kivar, 7 x 10, 504 pp. 10 or more copies $19.95* net. 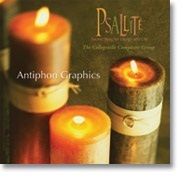 This CD includes easy-to-use graphic files of the assembly antiphons that can be used to select and insert music into desktop publishing documents, PowerPoint, or other custom worship aids and programs. This exciting collection contains fourteen unique selections. The Cantor/Choir Edition contains descants and harmonies while accompaniments and reprintable assembly graphics can be found in the Accompaniment Edition. 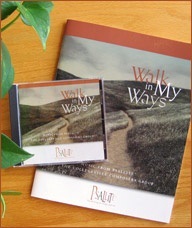 Recordings are available together on one CD to assist you in learning the songs. This collection contains 25 titles from the Year A edition of Psallite. 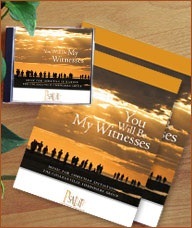 Accompaniments and reprintable antiphon graphics for the assembly are included in the book. 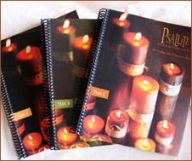 This collection contains 27 titles from the Year B edition of Psallite. 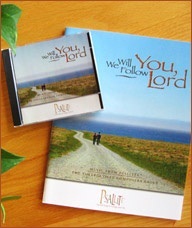 Accompaniments and reprintable antiphon graphics for the assembly are included in the book. 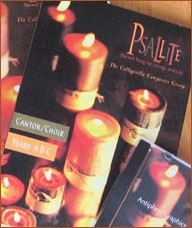 This collection contains 28 titles from the Year C edition of Psallite. 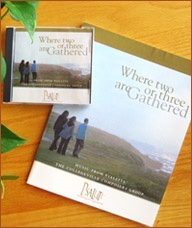 Accompaniments and reprintable antiphon graphics for the assembly are included in the book. This inspiring collection is also ideal for personal listening.